Jamba Juice lovers… holla! I didn’t realize so many people crave Jamba Juice like I do until my healthy copycat recipes started blowing up! 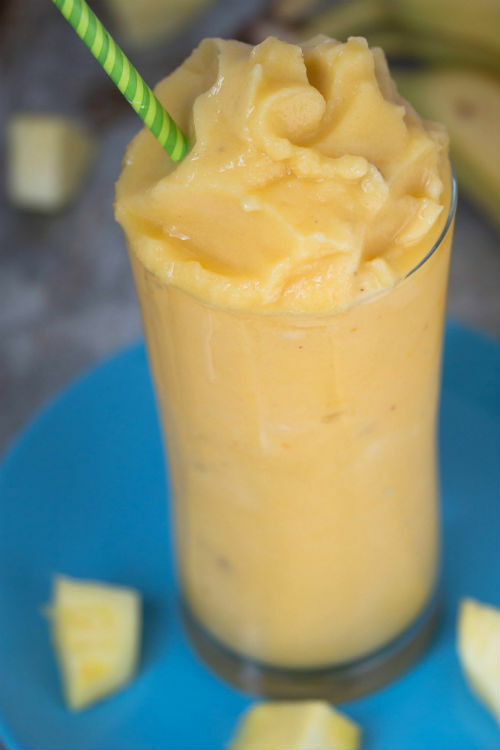 Do you know what my Mango-A-Go-Go, Peanut Butter Moo’d, Razzmatazz, and Caribbean Passion have in common? They are 4 ingredients or less, dairy-free, sugar-free, gluten-free, and scrumptious-FULL! Let’s keep this party going by introducing Jamba Juice Orange C-Booster! Okay, I’ll try to chill out on using so many exclamation points…. really, I’ll do my best. When I’m under the weather, my mind immediately turns towards a soothing Jamba Juice Orange C-Booster. 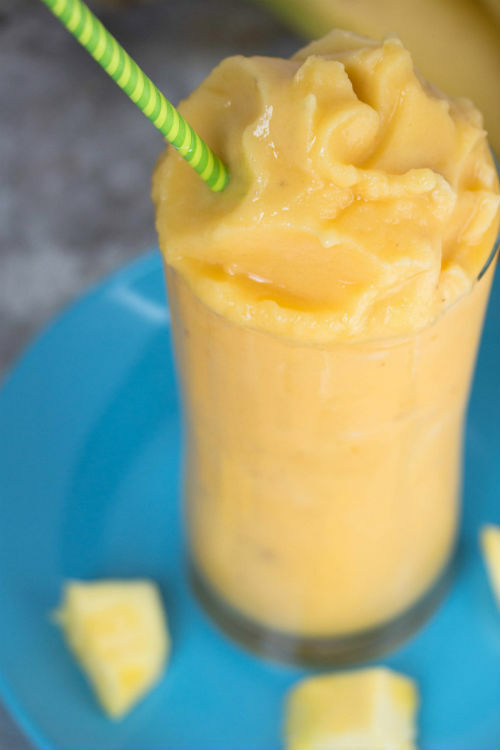 It’s overflowing with vitamin C and nothing feels better on a sore throat than a cold smoothie. I had the flu (yes, the real flu) a couple months ago and it knocked. me. out. I was in bed for a week and my body felt on fire. The body aches were the worst part! I’ll stop complaining… there’s a reason nurses make the worst patients. Since being sick is a form of torture, I of course needed Jamba to comfort me. Thanks to my sweet honey, Orange C-Booster made an appearance. It almost makes being sick worth it. Almost. 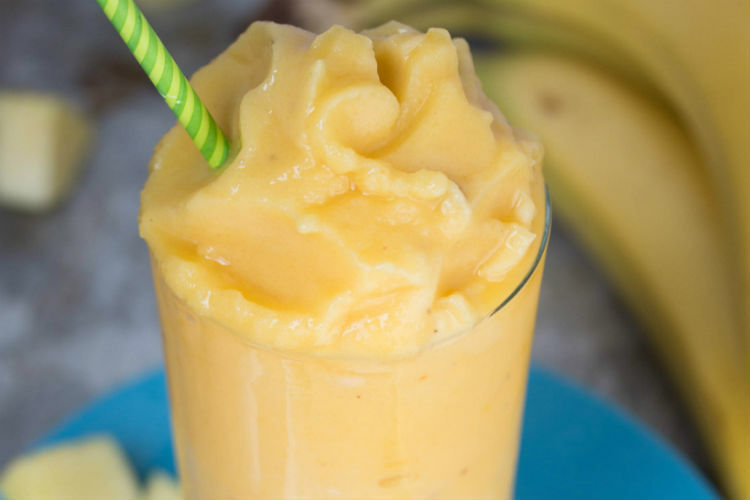 Like my other Jamba Juice copycats, there are only 4 ingredients: orange juice, peaches, pineapple, and banana. The original recipe calls for orange sherbet which contains added sugar and dairy. 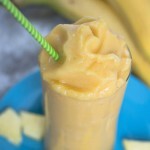 A frozen banana quickly replaces the sherbet and its creamy texture tastes like vanilla ice cream. Don’t believe me? Try my 3 ingredient blender ice cream. Freezing bananas is really simple. Wait until your bananas are the perfect yellow (not green and not brown). Peel your bananas (up to 6), place in ziplock gallon bag, get as much air out as possible, seal, and toss it in the freezer for at least 4 to 6 hours. I also like to freeze fresh pineapple chunks. I cut my own pineapple and put half of the chunks in a ziplock bag to freeze and the other half… well, it’s suppose to make it to the refrigerator. It’s usually devoured between my daughter and I. Happy blending! I’m thinking it’s time for Chocolate Moo’d next. Also, if you don’t have a quality blender… the time is now. I LOVE my Vitamix, but many others have had success with BlendTec and Ninja. Choose your weapon. In a quality blender, add ingredients in order listed. Blend for 30 to 45 seconds until smooth. I used to work at Jamba Juice (when it was Zuka Juice). I loved their smoothies. I love your dairy free copycat recipe! The mixtures of pineapple, peach and banana is great. Your pictures are amazing too! Aliza, thank you for your kind compliment! You are too sweet. I totally remember when it was Zuka Juice! Thanks again. Hi! Your recipes sound great, but…. the Orange C-Boost sounds like it makes way more than a one-person serving. Is this for two servings? Three? Something like that? Hi Donna! Great question. It makes us two large smoothies. You can always pour leftovers into ice cube trays and freeze it. 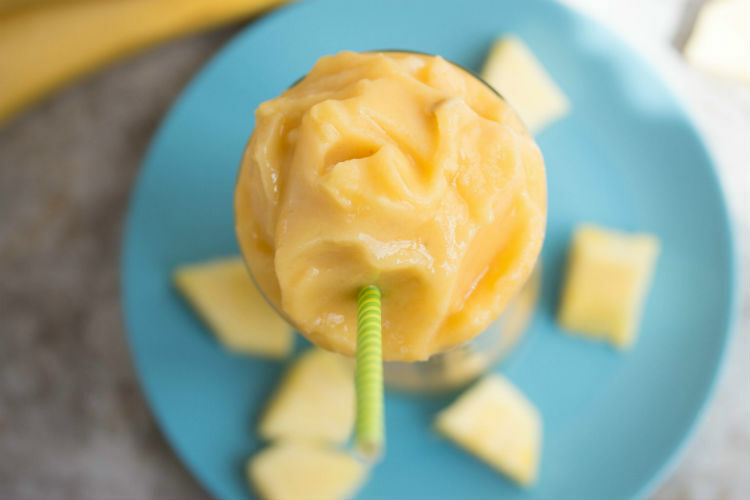 Then when you’re ready for another smoothie, just whip out some ice cubes and make a new fresh smoothie! I would just add a little more orange juice before blending again. Thanks again for commenting!